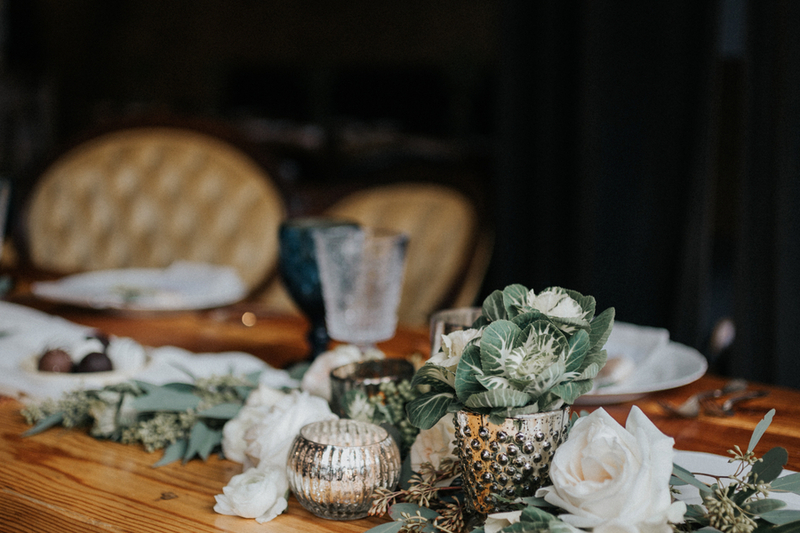 Milwalky Trace is an intimate, urban hangout with an open kitchen offering shareable, seasonal plates & craft cocktails. 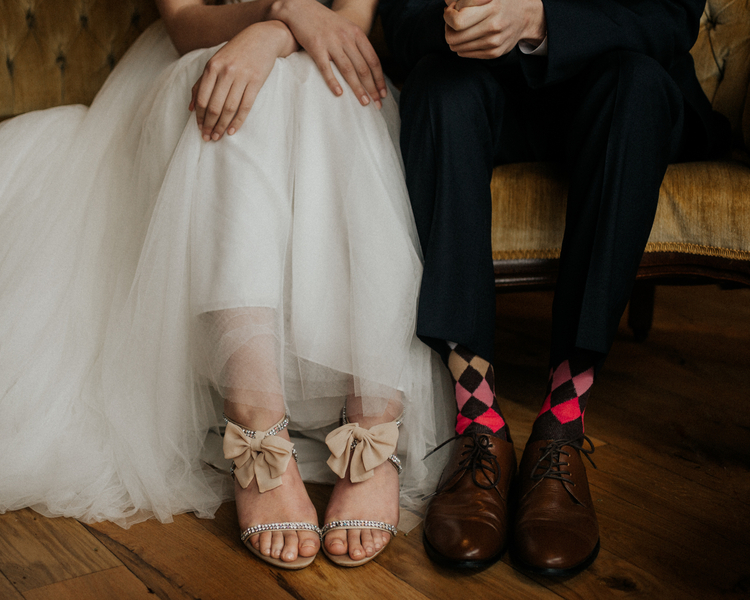 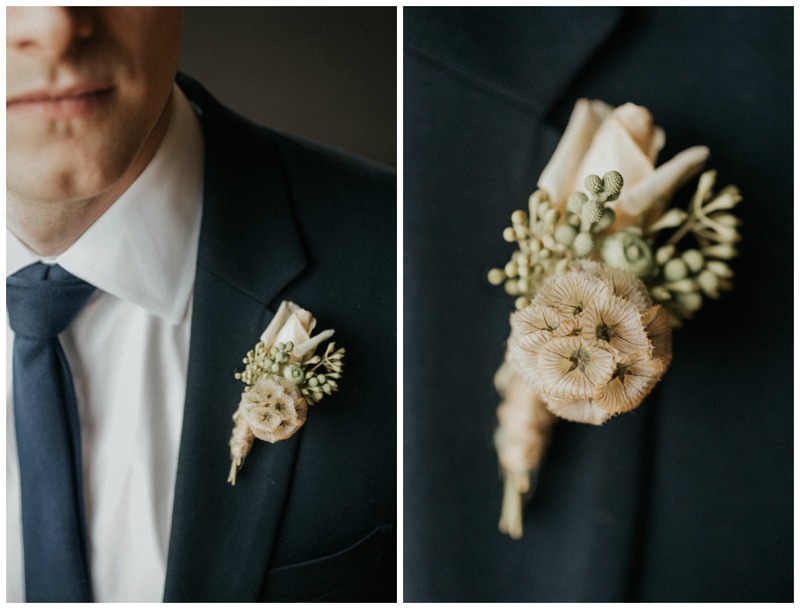 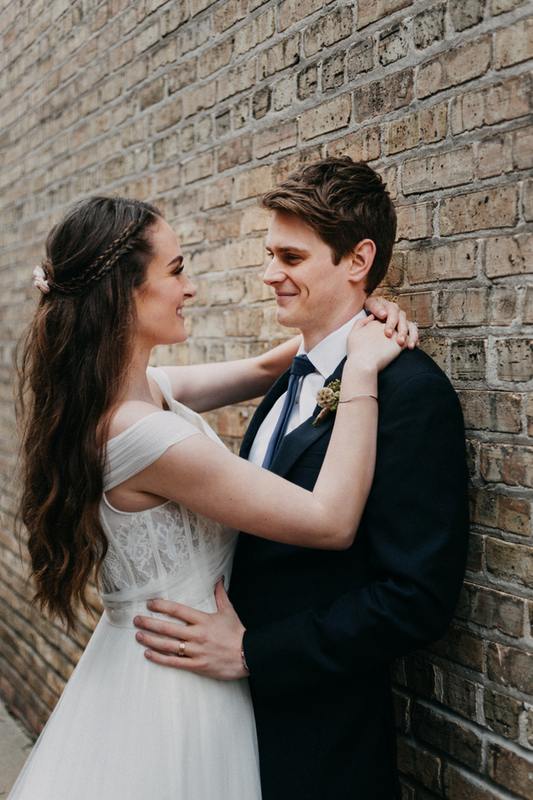 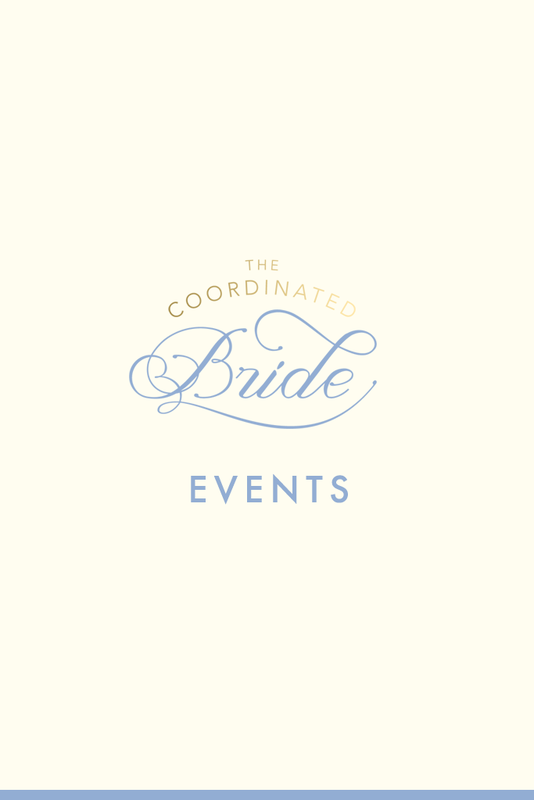 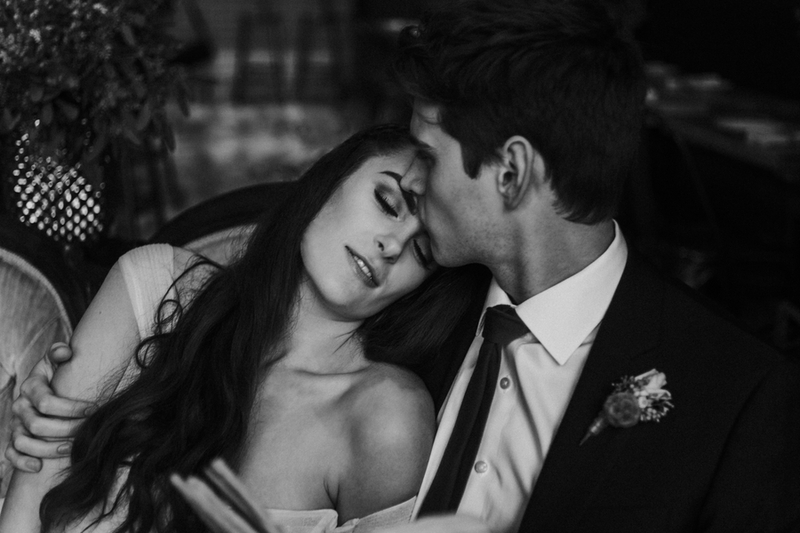 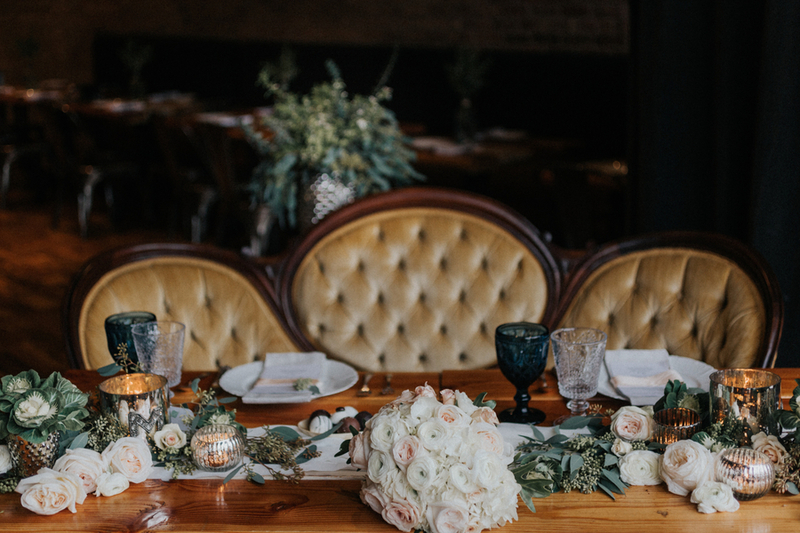 This venue was the location for this vintage urban elopement styled shoot. 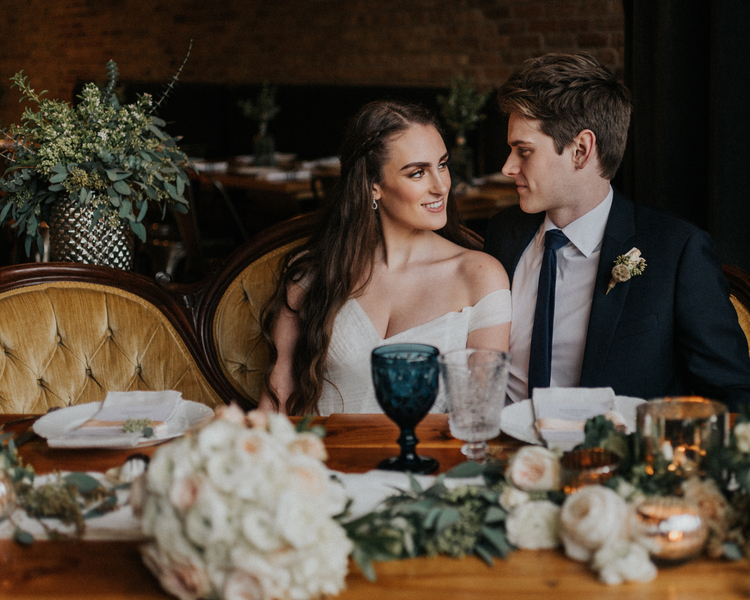 The inspiration for the shoot was drawn from the venue itself, Milwalky Trace, which features beautifully inspired, locally-sourced foods. 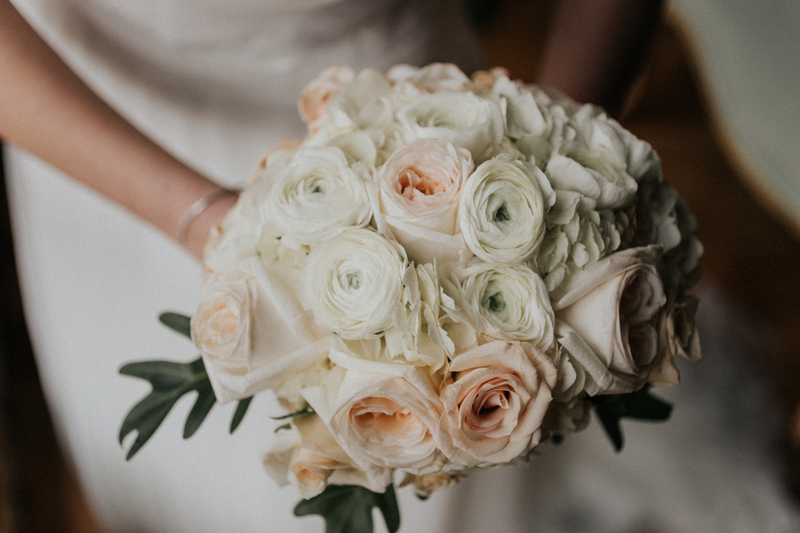 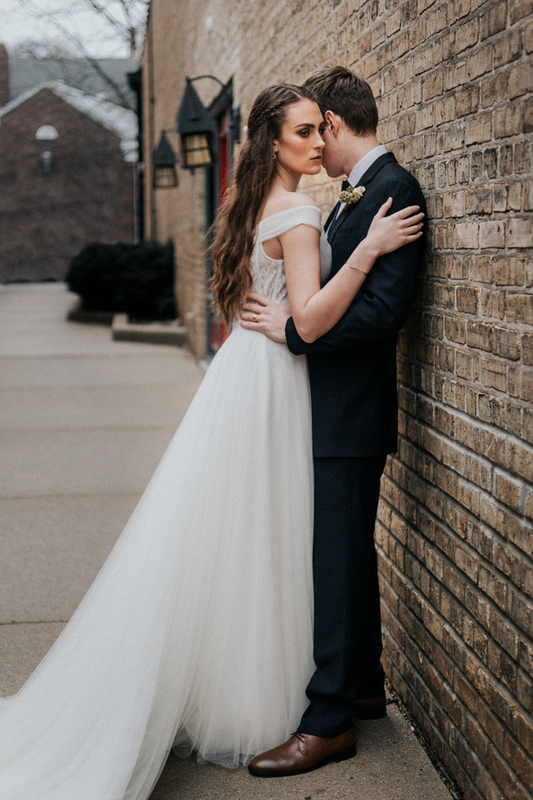 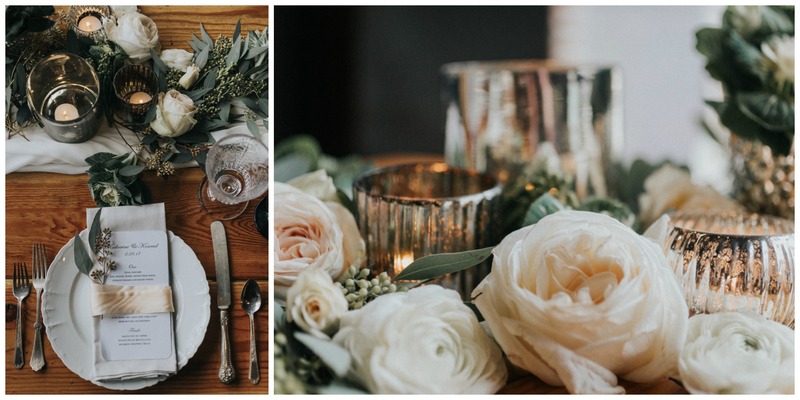 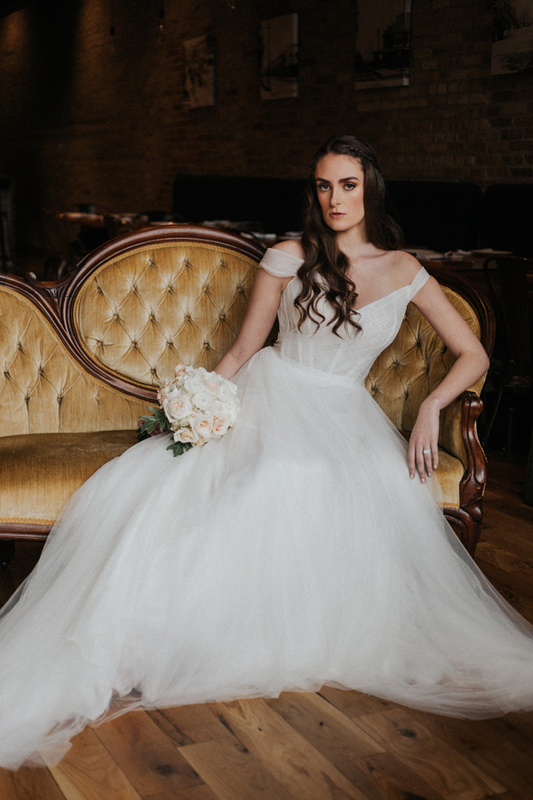 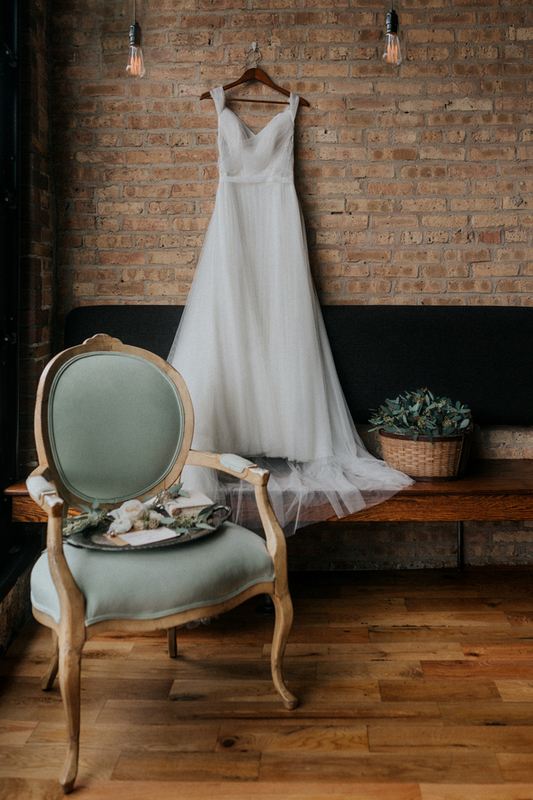 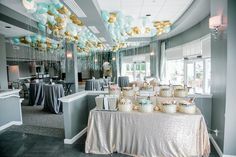 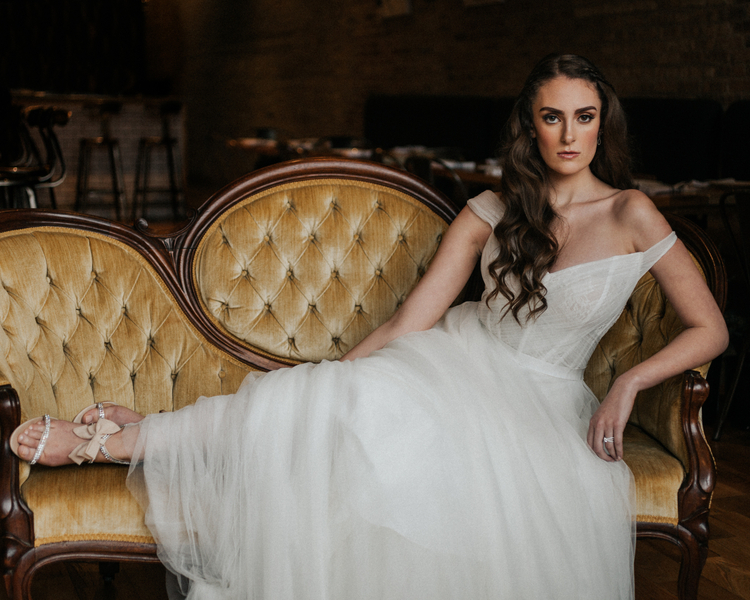 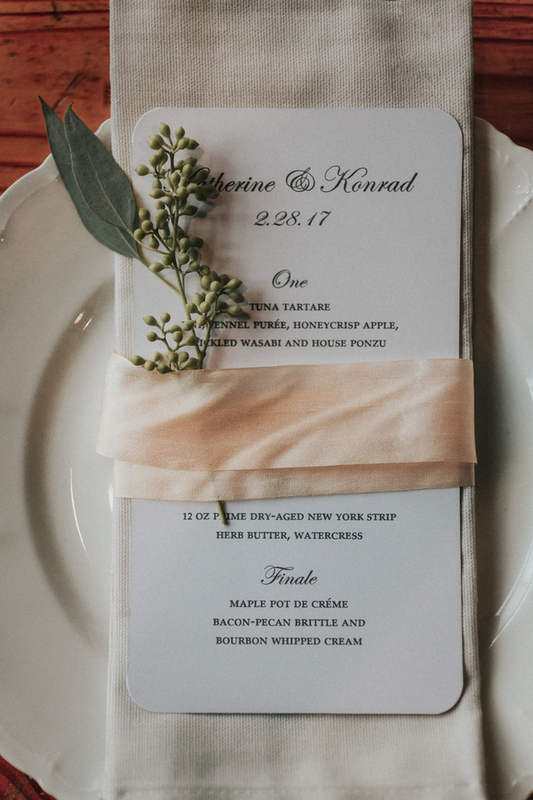 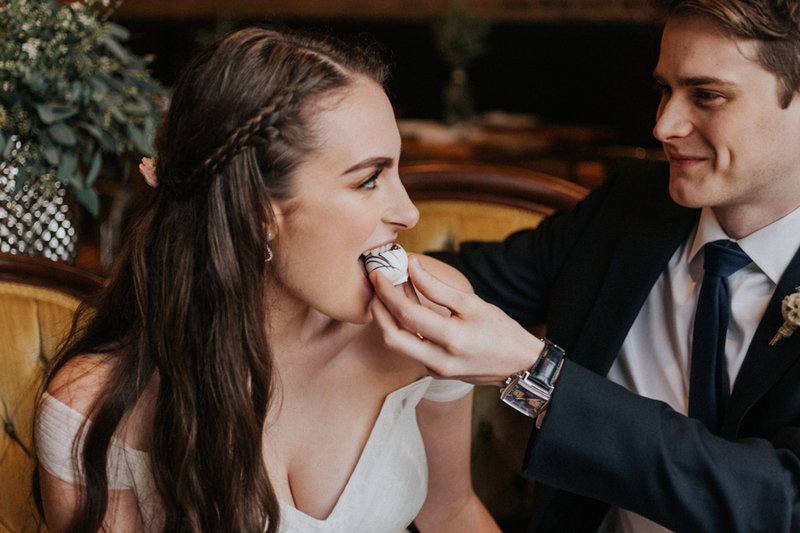 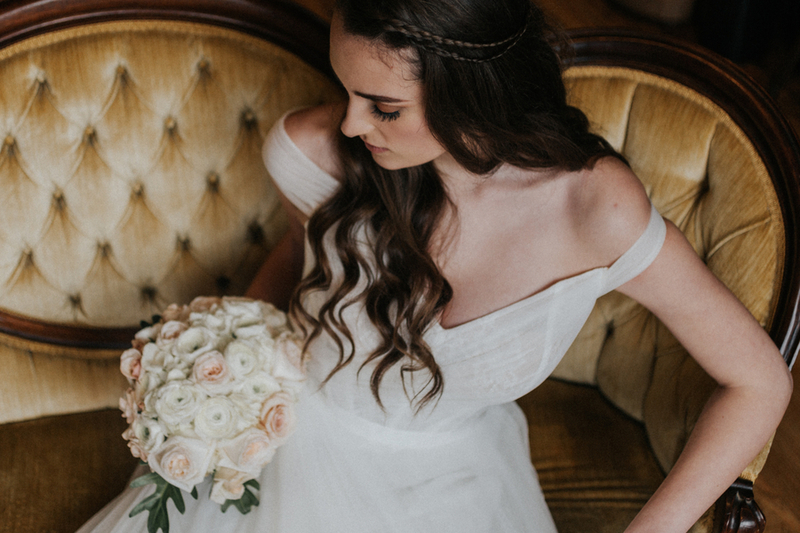 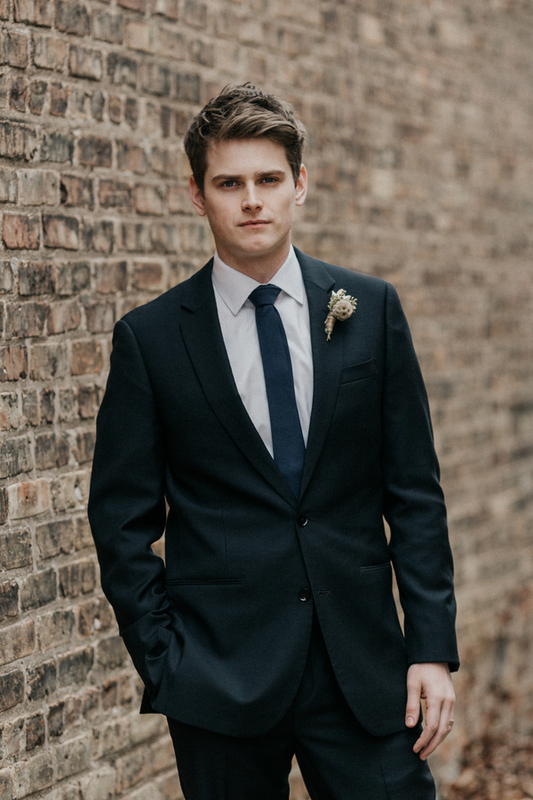 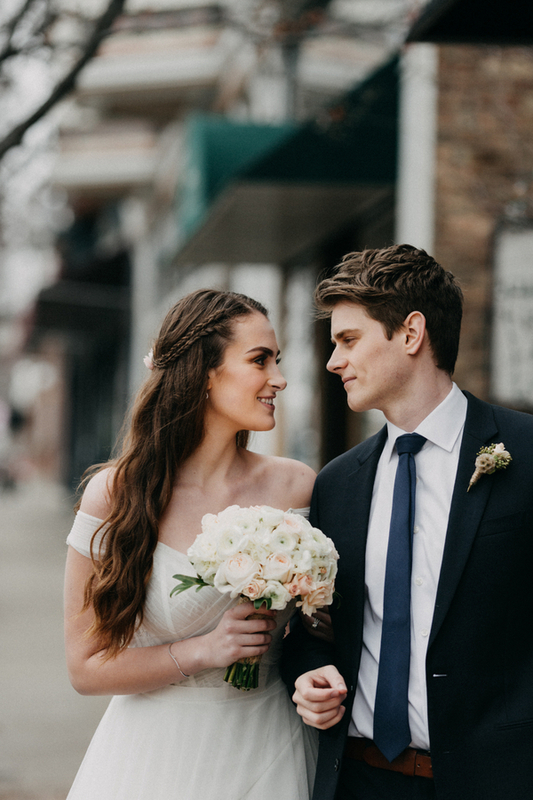 From Lisa Kathan Photography: The restaurant is named after the American Indian trail that ran between Chicago and Milwaukee, and through the Chicago suburb of Libertyville, where the restaurant is located. 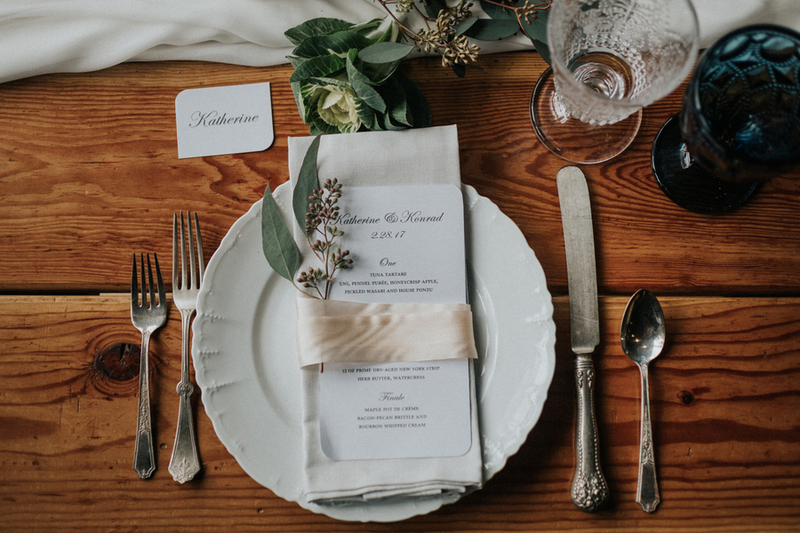 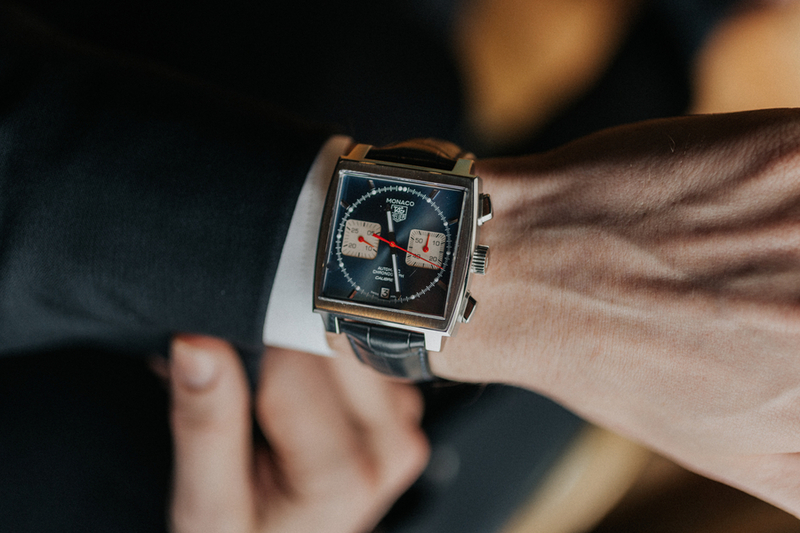 Because of the restaurant’s commitment to history and the local community, we featured as many elements as possible that were sourced from local vendors and retailers. 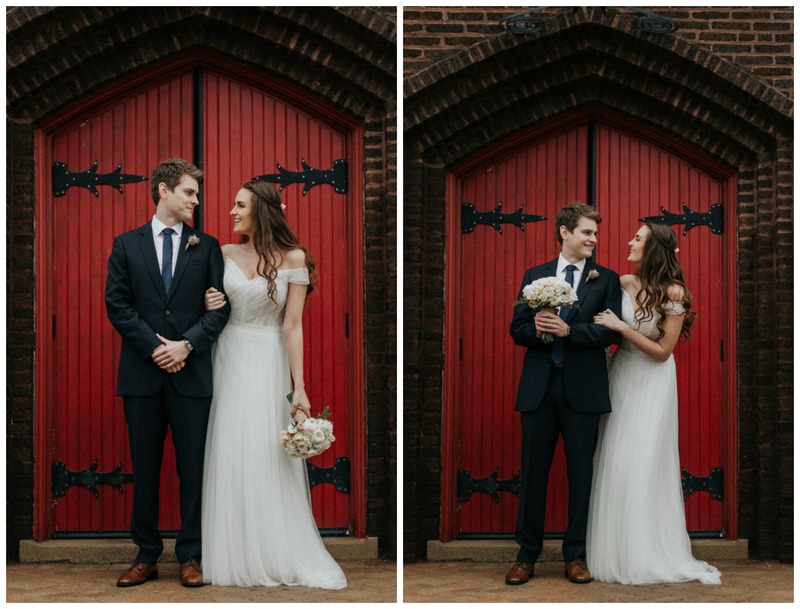 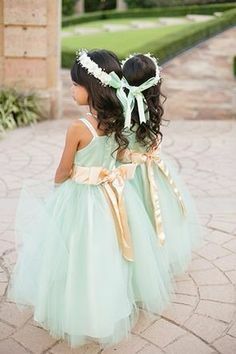 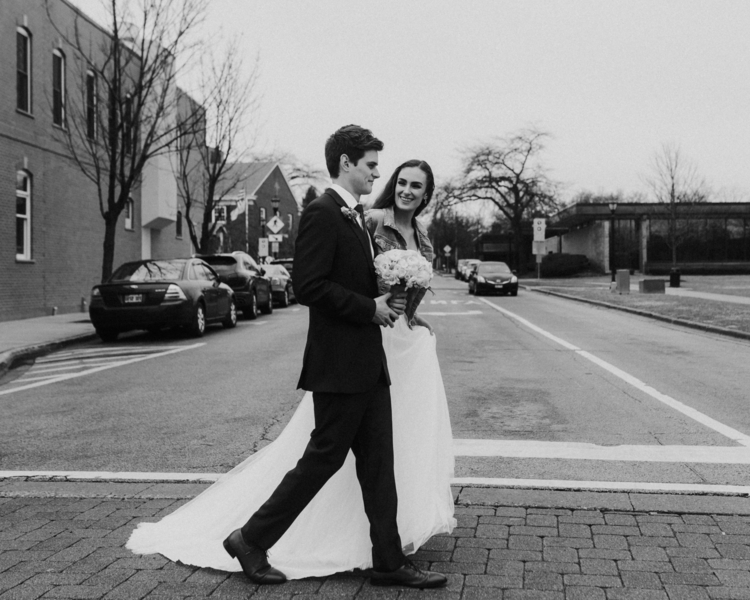 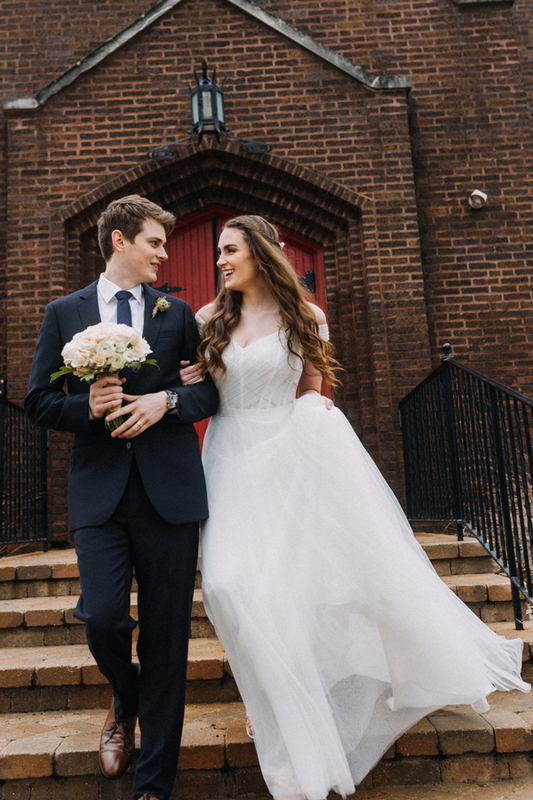 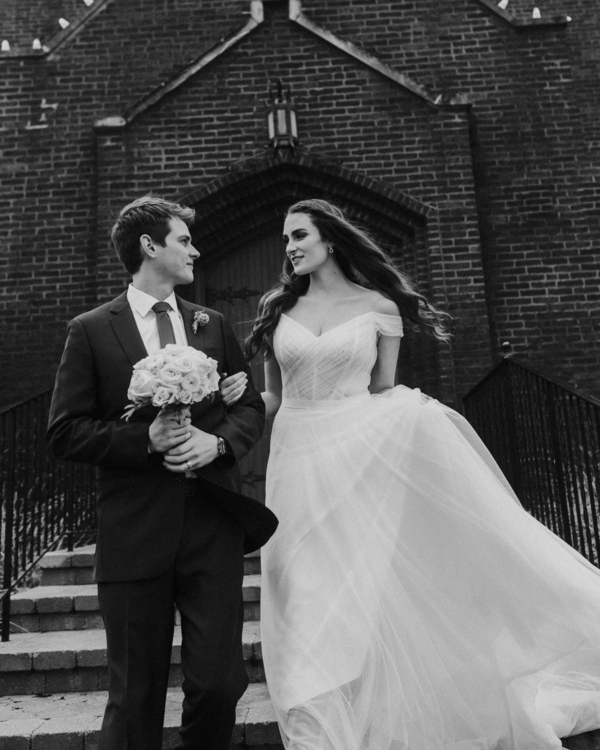 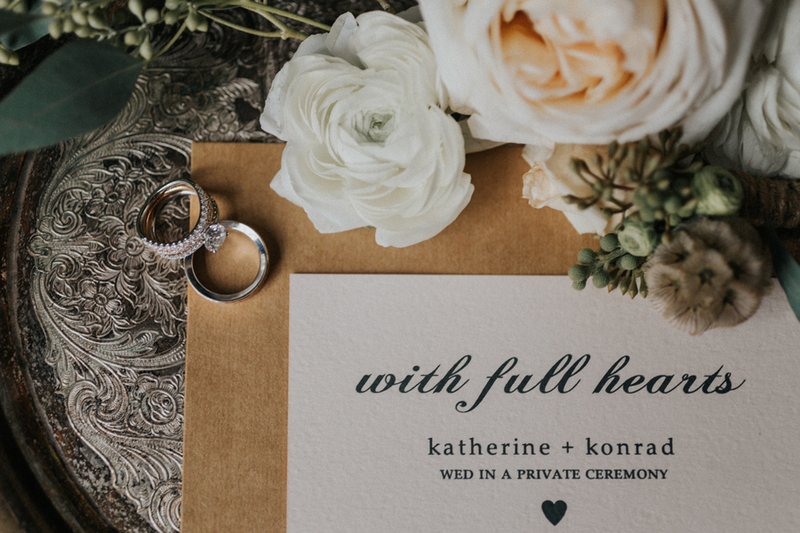 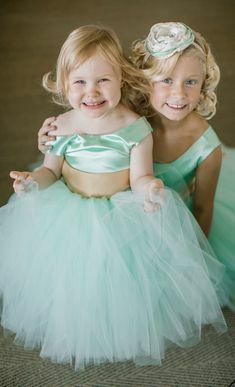 On the day of her wedding, our bride dresses herself in a timeless Watter’s gown and meets her groom to share in a private ceremony at the red-doored church down the street. 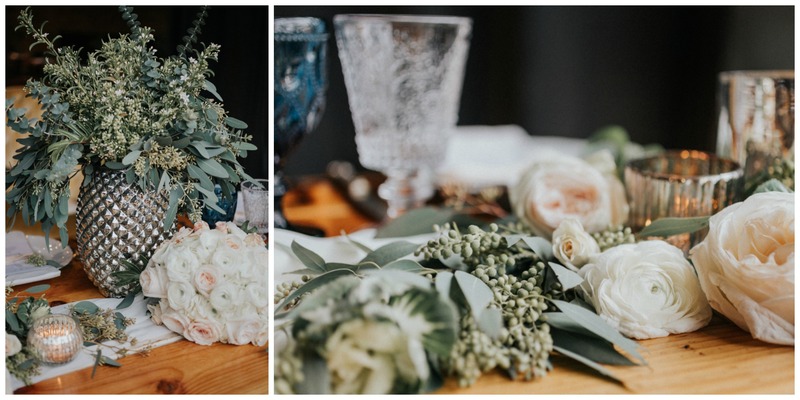 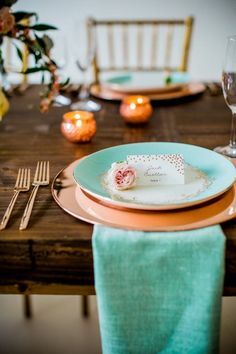 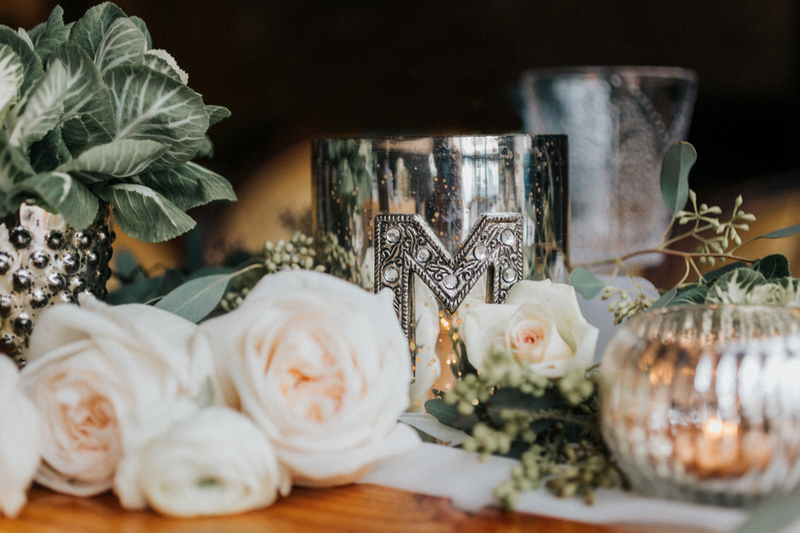 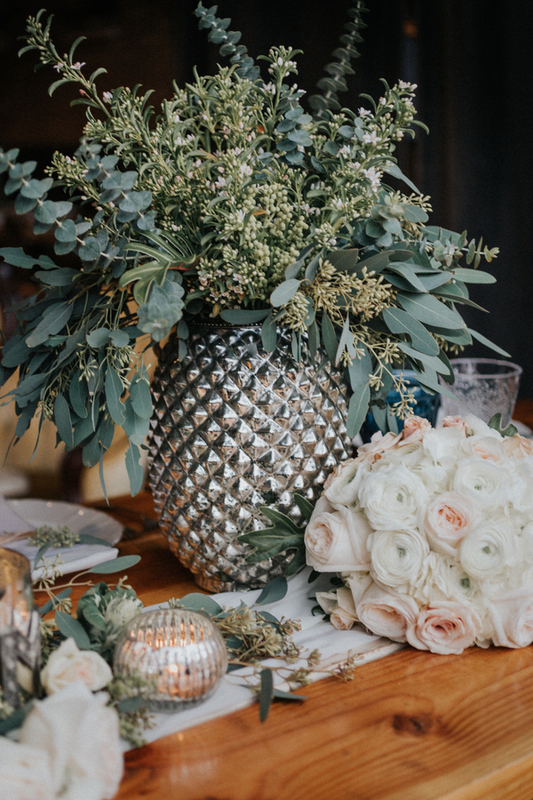 Afterward they make their way to Milwalky Trace to find a sweetheart table covered with a white-on-white floral design, vintage table settings and mercury glass. 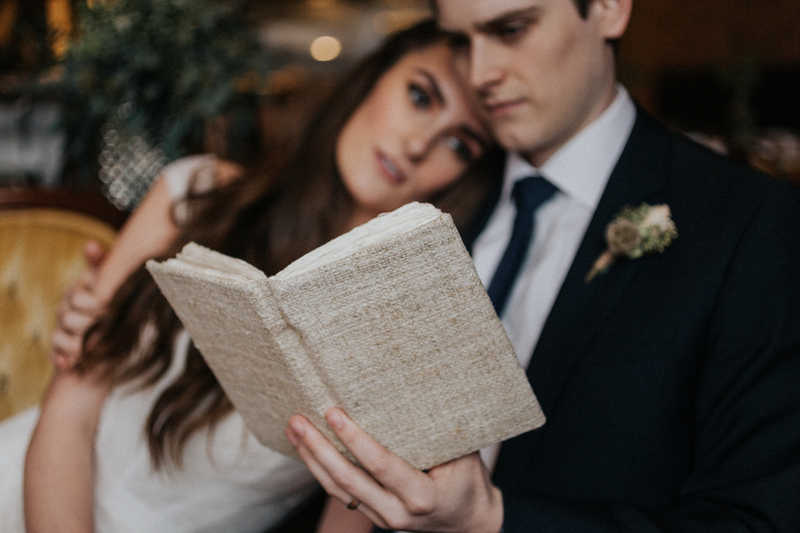 The couple enjoys reading their vow journal over dinner on a beautiful antique gold settee. 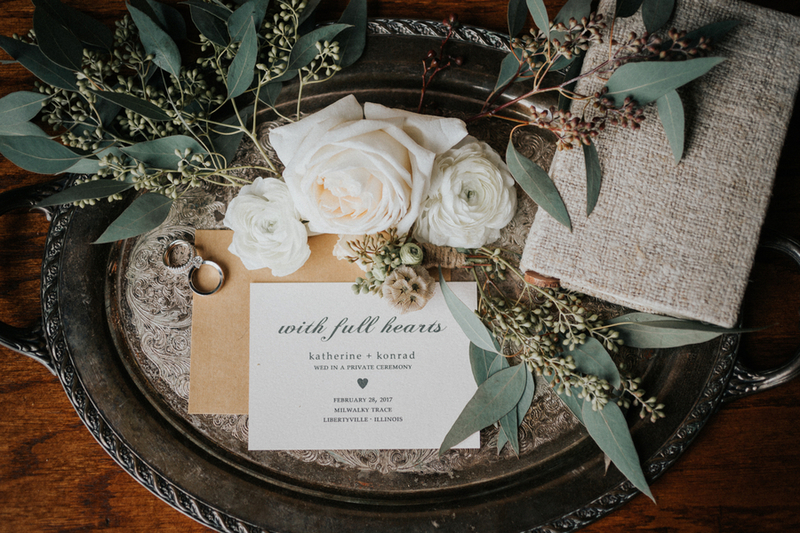 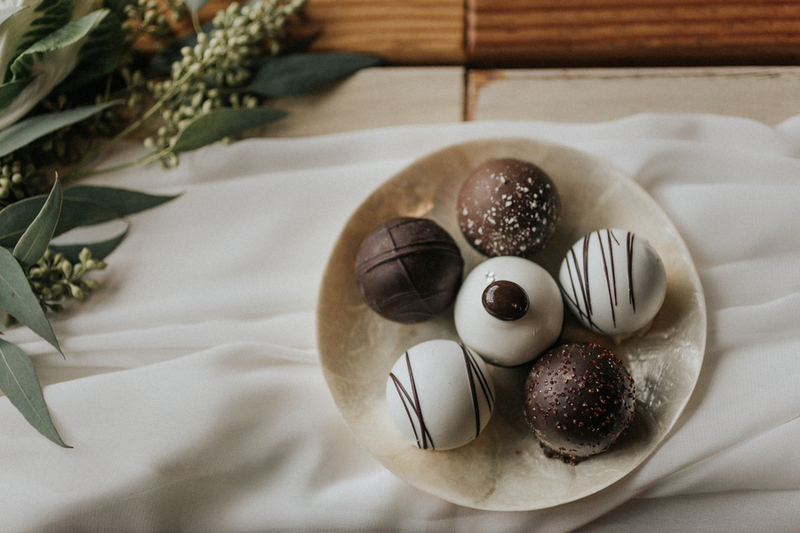 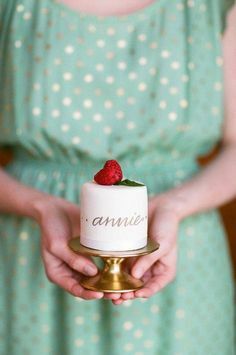 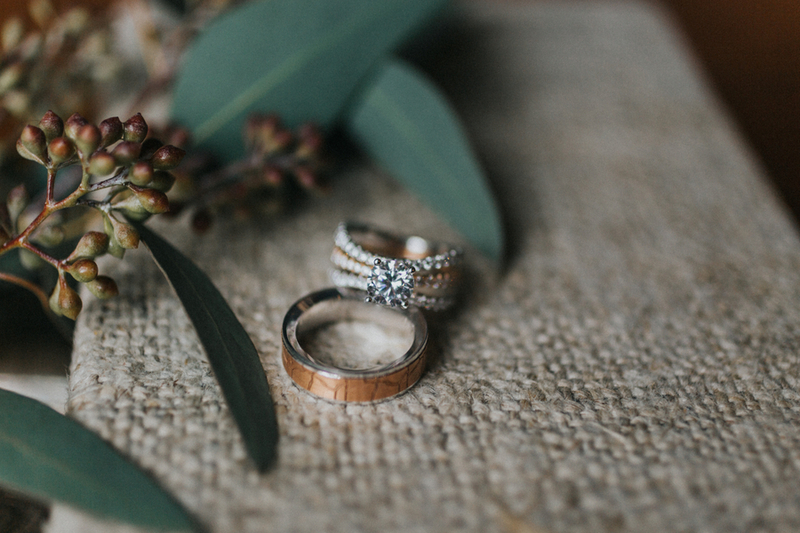 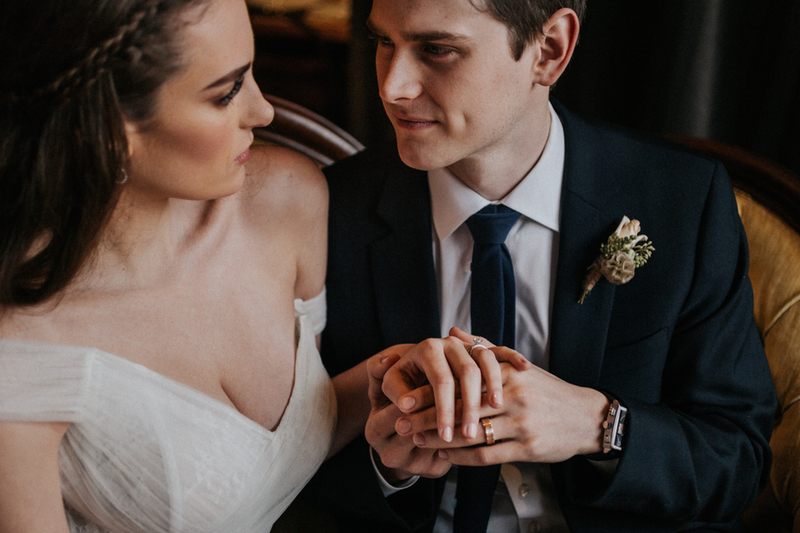 The rose gold rings and hand-crafted chocolate truffles add unique additions to this private elopement.